In line with its international Food & Agri focus Rabobank announces consolidation of its agribusiness activities across the United States and the sale of its subsidiary Rabobank, National Association (“RNA”) to Mechanics Bank. 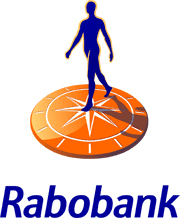 This strategic realignment will simplify and enhance Rabobank’s operations in North America and create the fourth largest agricultural lender in the United States, providing clients with a unique set of financing solutions and access to Rabobank’s global Food & Agri network. The majority of the current Food & Agri clients of RNA will be serviced by Rabo AgriFinance after the transfer of the related assets thereto. Wiebe Draijer, CEO of Rabobank commented: “Our Banking for Food strategy is the driving force behind Rabobank’s growth of our international loan portfolio. We are committed to the United States, which is the largest agricultural market worldwide and an important growth pillar for Rabobank. When the transition is completed, Rabo AgriFinance will be the only U.S. lender to offer a broad, nationwide view of the agricultural sector coupled with local expertise and global resources”. In parallel, Rabobank has entered into an agreement to sell RNA’s retail, business banking, commercial real estate, mortgage, wealth management and other non-Food & Agri businesses to Mechanics Bank, a community bank based in Walnut Creek, California. Rabobank will own a 9.9% stake in the combined bank. On 15 March 2019, Rabobank signed transaction documentation with Mechanics Bank. The transaction is expected to be completed in the third quarter of 2019, subject to customary closing conditions, including the receipt of required regulatory approvals. After completion of the transaction, Rabobank’s CET1 ratio is estimated to improve by approximately 40 basis points. Subject to customary purchase price adjustments, the total consideration amounts to approximately USD 2.1 billion, including a material pre-closing dividend and a 9.9% stake in Mechanics Bank. The parties have also agreed that upon closing of the transaction, Mechanics Bank will provide cash management services to Rabobank’s Dutch clients doing business in the U.S. and Rabo AgriFinance clients in a similar manner as provided by RNA today. Lazard Freres & Co. LLC and Rabobank Corporate Finance Advisory, served jointly as financial advisors to Rabobank in connection with the sale of RNA and the approximately USD 5 billion asset transfer to Rabo AgriFinance.